Is your new wealthy client a PEP, or isn't he ? He claims to be the CEO of a large company in a foreign country not known for transparency; is he really a senior colonel in his nation's military, and the head of a government-controlled company, but he is really masquerading as a civilian executive ? You can unmask him if you have the right equipment in your compliance toolbox. We have all read the Congressional testimony about Facebook's use of what is known as Shadow Profiling; accumulating information on individuals who are not on Facebook, through their online activity when they visit facebook sites. This technique can be a valuable compliance tool for identifying foreign Politically Exposed Persons (PEPs). Compliance officers who are tasked with eliminating prospective clients as Politically Exposed Persons (PEPs) can adapt Social media sources and methods, even though the target is not a user or participant of social media sites. It is accompliahed by using facial recognition software programs that have total access to social media resources. A target may not be personally engaged on social media, but his photograph has most likely been taken at a charitable event, holiday party, major social encounter, private party or dinner among close friends, and facial recognition software, if employed, will extract his images from social media pages, newspaper stories, blogs, websites and CCTV footage.. Was the colonel in civilian clothes at all these functions ? I doubt it, for he was not aware that his off-duty activities have been recorded and accessed at what were private events, out of the public eye. Whether the individual is a corrupt foreign government official taking bribes or kickbacks at home, military officer stealing from government accounts, a leader of an NGO or charitable organization, suchindividuals wish to conceal their PEP status, but compliance officers can identify them by the proper use of facial recognition software programs that have access to social media resources. It is the only way to unmask a well-concealed PEP seeking to hide his illicit wealth by posing as an affluent foreign national attempting to open an account at your bank. Shi'ite military organizationas in the Republic of Iraq have reportedly received ballistic missiles from the Government of Iran, in a disturbing development that could see Iraq being drawn into a regional war with Saudi Arabia, or Israel, resulting in chaos within its financial structure. Though these weapons are said to be only intermediate-range missiles, they could still hit Riyadh or Jerusalem, provoking a massive response. The presence of American troops in Iraq, assisting in the mopping up of pockets of ISIS resistance, further complicates the picture, for attacks on US military units in a future Middle East conflict could embroil America as a participant, with potentially devastating effect upon Iraqi infrastructure. Iraq's poor economy might not recover from yet another war; in addition to the missile shipments, Iran has allegedly supervised the opening of weapons factories, capable of manufacturing missiles within Iraq. What if Israel regards them as threats, and attacks them ? Given the increased possibility that Iraq will be drawn into the next war in the area, raise Country Risk at this time, after you have assessed the situation. Foreign investment, and indeed any substantial extension of credit, could result in a total loss, in the aftermath of a third, and more destructive, war in the region. 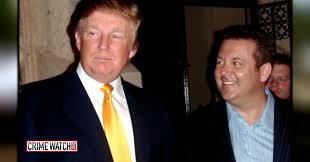 Jho Low, the fugitive Malysian fnaancier accused of stealing billions from the Malaysian sovereign fund known as 1MDB, and who is currently a fugitive from justice, thanks in part to his St Kitts CBI passport, is under US Department of Justice investigation, due to his links to a support network composed of associates of President Donald Trump. Additionally, Jho may have given laundered criminal proceeds to pay his Ameerican attorneys, includiing former New Jersey Governor Chris Christie. Jho's associates have allegedly called upon close Trump friend and fundraiser, Elliott Broidy, to assist him. Jho, also known as Low Teak Jho, allegedly took $4.5bn from the 1 Malaysian Development Berhad, and laundered it through the global banking system. It is not known whether any of those proceeds of crime ended up in St Kitts' banks, but legal observers in Malaysia believe Jho is attempting to reach St Kitts, which provides a non-extraditable safe haven for its citizens, CBI passport holders included. Questions have been raised regarding how St Kitts approved Jho's CBI application, given the circumstances surrounding the billion dollar theft in which he was the primary player, according to Malaysian government authorities. After a decade of evading extradition to face the music in the United States in the billion dollar Stanford International Bank scandal, Leroy King, the cashiered Antiguan banking regulator, is said to be seriously ill, and it is doubtful that he will live long enough to see the inside of a Federal courtroom in the United States, thereby cheating justice. King's extradition case, which has been a textbook example of how to indefinitely delay court proceedings in a corrupt third world setting, may not have a satisfactory ending, but Karma now seems to have intervened. Had Mr. King agreed to be extradited, years ago, he would have quickly been examined, and received outstanding medical care while in the custody of the US Bureau of Prisons, probably saving his life. 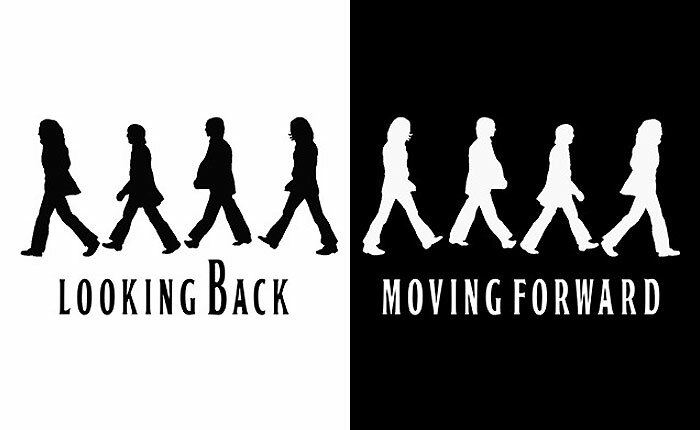 We wonder if this fact has occurred to Mr. King. 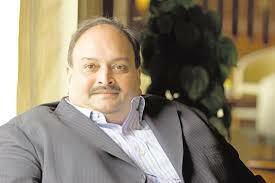 Will Mehul Choksi (a/k/a Jabba the Hut), also hiding out in Antigua, also fall victim to Karma ? 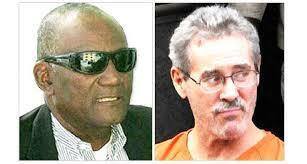 We cannot say, but given his obvious health issues, he may also fail to be extradited from Antigua. Stay tuned. 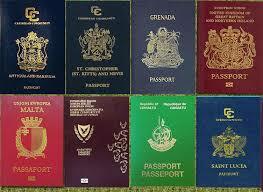 HOW MANY FOREIGN CAREER CRIMINALS ARE OPERATING WITH CBI PASSPORTS ISSUED BY ANTIGUA ? 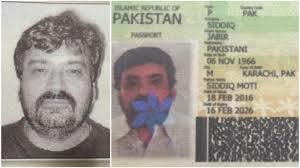 The recent arrest, of a career criminal from Pakistan, known to be the personal assistant to one of the world's most wanted fugitives from justice, has again spotlighted the dark fact that he is yet another wanted individual, who the Antigua CBI unit knew or should have known was legally unqualified wor a CBI passport, yet received one nevertheless, in a country where abject greed trumps the Rule of Law. 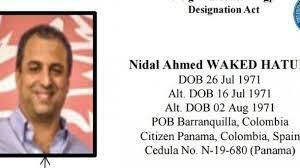 He holds a CBI passport from Antigua & Barbuda, although he is a wanted fugitive in the United States. 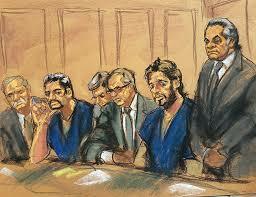 Jabir Motiwala, arrested by Scotland Yard on an American, request, is also known as Jabir Siddiq. He works for Kaskar Dawood Ibrahim, a major Pakistani drug kingpin and known terrorist. Motiwala reportedly is wanted in the United States on charges of money laundering, extortion, kidnapping and drug trafficking. He had been living in Dubai, and was detained after he entered the United Kingdom. Under what perversion of the regulations governing CBI passports issued by Antigua did this career criminal pass even the most primitive due diligence check ? Obviously, in Antigua, so long as you agree to pay a clearly excessive fee, over and above the listed charges, you will qualify for a CBI passport, even if you are known to be engaged in criminal or terrorist activities. In the aftermath of the Choksi scandal, Antigua sustains yet one more black eye for its CBI program, which is regarded by compliance officers in North America and Europe as a government-operated racketeering enterprise. Any individual holding an Antiguan passport suspected of being a CBI-issued document is now subject to serious scrutiny. 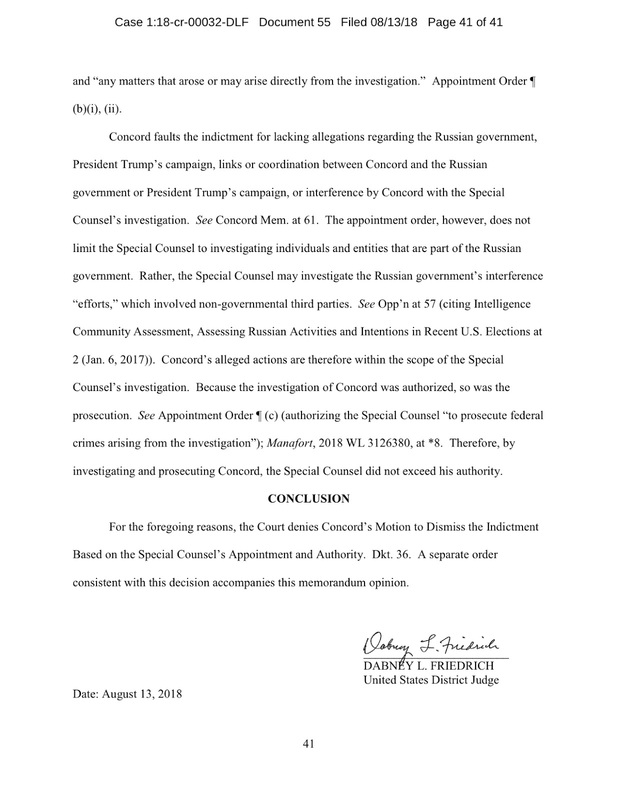 "Whether the District Court Properly granted the Government's request to Withdraw its previously filed Motion for Reduction of Sentence, after the Court correctly concluded that the Government had the Discretion under the Plea Agreement to withdraw the Motion." While the Plea Agreement does not specifically empower the Government to withdraw their Rule 35 motion to reduce Rothstein's sentence, it does give it sole discretion regarding whether or not to reduce his sentence. Additionally, case law is well settled regarding that discretion, and the courts have uniformly agreed that, under basic contract law, the Government is within its discetion, when deciding whether to reduce an inmate's sentence. The chances that Scott Rothstein will be successful in his appeal are small, due to the above well-settled questions of law. Whether the fact that Rothstein forged the signatures of Florida and Federal judges, in crafting bogus court orders and judgments will influence the appeal court cannot be quantified, but as it was an aggravating factor in his criminal trial, it certainly marked him as a public enemy. We will advise our reades further when a decision is handed down. 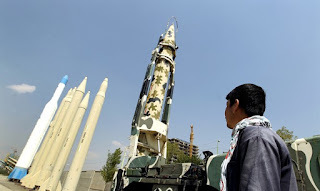 Now that the United States has reimposed sanctions upon Iran, agents of that country's government are setting up shop next door, in Canada, to operate evasion programs aimed at acquiring and moving US Dollars, and in conducting prohibited international trade transactions. Today we will focus upon the illegal use of prepaid cards as instruments that Iran has sought to use in the recent past*, and is currently seeking to employ to evade US sanctions, and to conceal illicit operations from US law enforcement agencies, and regulators. Canada's immigration-friendly policies, together with the country's known reluctance to publicly name and shame financial institutions with ineffective anti-money laundering regimes, have long made its financial centers a favored destination for Iranians engaged in illicit activities, whether they be financial criminals or government agents acting undercover. The fact that the present government has been friendly to Iran, and has turned a blind eye to suspicious Iranian investments in Canada is an additional factor that cannot be ignored. Due to industry pressure, and frankly, regulatory indifference, prepaid cards continue to be a major resource for sanctions evaders, money launderers, and bulk cash smugglers. We have identified two ongoing operations, located in the Province of Ontario; they are recently-formed money service businesses, controlled and openly led by Iranian nationals with a long history of suspected money laundering activities, or operations as intelligence agents of Iran, or both. Their stated business is the sale and distribution of prepaid cards to the public, but their true objective is the movement of dollars, in support of Iran's global sanctions evasion program, whether that be the purchase of prohibited dual-use goods, or to facilitate the transfer of restricted Western technology to Iran. How can these Canadian MSBs interact with the US financial structure, you ask ? They have partnered up with a prominent American bank well known as a prepaid card distributor. The American bank is telling its customers and vendors that it will be selling prepaid cards, in bulk, to dual nationals, who it has decided to regard as non-Iranian nationals, for the purpose of the sanctions laws. This is, of course, utter nonsense from a legal viewpoint, and not supported by any interpretation of the law that we are aware of. Furthermore, the American bank involved with the Canadian companies has a history of problems in the past with US regulators, especially in the anti-money laundering sector. Senior bank management has pushed its staff, especially compliance and IT, into cooperating with the Canadian companies, reportedly against their better judgment. The joint operation should be shut down before it can begin to move dollars in and out of the United States, and further Iran's illegal WMD and ballistic missile programs. If you know the prepaid card field, you should have an idea who the bank is, and steer clear of it in the future. While we fear that Canadian regulatory agencies will ignore this information, and we will not hear from them, we trust that their American counterparts will take the hint, and open investigations forthwith into this brazen, and illegal, sanctions evasion scheme. 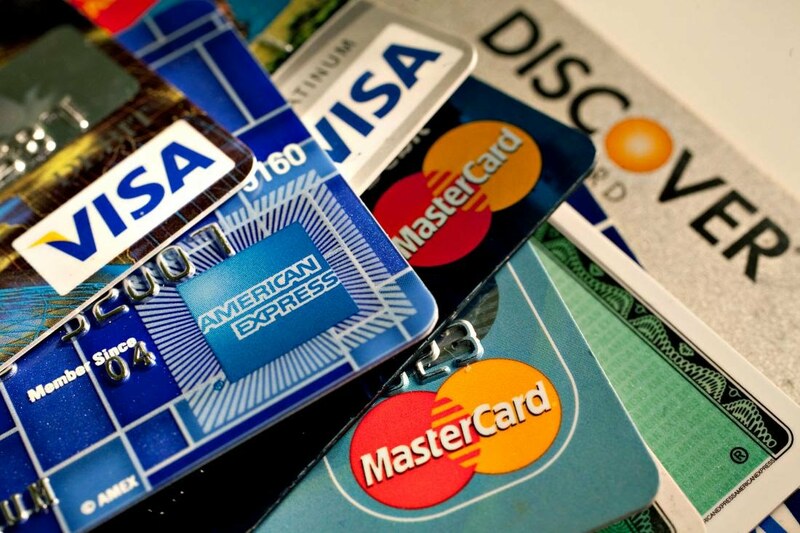 Prepaid cards are not to be used as instruments of sanctions evasion. * A few years ago, in the midst of major sanctions, some of these same Iranian nationals sought to purchase an interest in a Panamanian money service business, where the "clients" would be provided with mailing addresses in the Republic of Panama, to avoid being identified as Iranian nationals. 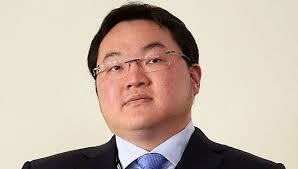 The master Malaysian criminal, Jho Low*, who is busy evading arrest with his handy little St Kitts CBI passport, has been charged with seven counts of money laundering. Low has been accused of being a key player in the theft of $4.5bn from the government investment fund, known as 1 Malaysian Development Berhad (1MDB), which local media there have dubbed the country's biggest white collar crime in its history. The fraudster who also known as Low Taek Jho, is believed to have escaped via China, and Malaysian authorities believe he is attempting to reach the safety of St Kitts & Nevis, from which his citizenship will effectively guarantee immunity from extradition, and he will never face justice in Malaysia. 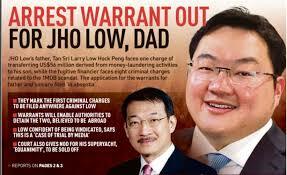 Low Hock Peng, the defendant's father, has been charged with one count of money laundering; it is not known if he also holds a St Kitts CBI pssport as well. The Government of Antigua & Barbuda, as part of its continuing non-cooperation with India, which is seeking the extradition of its fugitive billionaire. 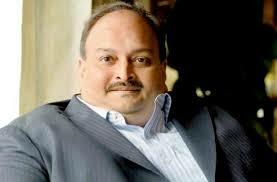 Mehul Choksi, has refused to divulge Choksi's home address in Antigua, where he has been living a lavish lifestyle. Antigua failed to deliver the address upon demand, which indicates that it will protect him, notwithstanding his status as the most wanted man in India. India has reportedly asked the US for assistance, but the decade-old Leroy King extradition to the US is still pending, so it is doubtful that America can facilitate the Choksi case. 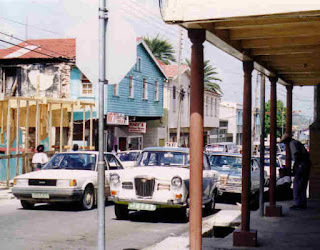 As the consequence of its policy of non-cooperation, Antigua's standing among CBI providers has reportedly fallen from first place to fourth in a recent ranking.Voters in Antigua are angry about how their country's image is being degraded internationally, due to the Choksi scandal, and their Prime Minister appears to be the primary protector of this fugitive from justice. You may also tune in to any one of these local stations; not all of them have confirmed that they will carry it live. Above please see yet another of those so-called ratings or indexes of the jurisdictions offering Citizenship by Investment (CBI-CIP) programs, which sell foreign investors valid passports issued by the participating countries. For a number of reasons, not only are the rankings skewed in favor of the East Caribbean stattes (all five of them curiously hold the first five positions on the list) but the calculations do not take into account any possible negative factors. They are therefore inaccurate and misleading, and only serve as selling points in international CBI consultancies' marketing programs. Here's a short list of what factors are not used in compiling the lists. The most important indicator of the value of a specific CBI program seems to be the number of countries one may visit, without the necessity of acquiring a visa in advance. This would indicate that the sole criteria of importance is the ability to enter multiple nations without being cleared through a visa application process. What type of individual requires that benefit ? Obviously criminal elements. (1) Applicants do not know that a specific CBI jurisdiction was, or is, a known tax haven a/k/a offsshore financial center, where corporation secrecy and/or bank secrecy is the law, is never discussed. This is like painting a bull's eye target on your back, for Western law enforcement agencies, who have a long memory regarding tax havens used for illicit purposes. (2) Investors are not told that the issuing country can revoke your passport and citizenship privileges at will, and you have little or no legal recourse, inasmuch as the local court system does generally follow only political direction, and not the rule of law. Several of the jurisdictions are not true democracies, due to massive voter fraud and bribery programs conducted each election day. (3) CBI Applicants do not know how many financial criminals, international sanctions evaders, corrupt PEPs, fugitive from justice abroad also hold the passport you have purchased. (4) Applicants are not told about the stability, or lack of it, regarding the local economy, ruling political party in power, security situation, external influences, and visa waivers, any one of which could result in the collapse of the CBI program, or the mass cancellation of passports issued pursuant to its authority, or the serious diminution in their value to the holder. The bottom line: a CBI passport, issued by an Eastern Caribbean state, may not be as durable as one issued by a European CBI jurisdiction, when one compares political stability, but the European jurisdictions are ranked delow all the East Caribbean ones. We wonder how that happened. A senior government official, from one of the five East Caribbean states that are operating Citizenship by Investment (CBI/CIP) programs, has been engaged in negotiations with a law enforcement agency of the US Government, to cooperate in a pending investigation. 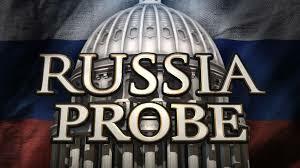 That individual is seeking immunity from prosecution, in what appears to be a major corruption investigation of high-ranking government officials in one jurisdiction. Additionally, one of the principal targets of the investigation is the prime minister of that unspecified East Caribbean state. While much has been made this year, of the alleged failure of the United States to charge Caribbean officials with corruption, especially when the proceeds of their crimes are deposited in American financial institutions, we recently saw one individual charged. Donville Inniss, the former Minister of Industry for Barbados, is facing money laundering, and conspiracy to commit money laundering, for accepting bribes to obtain lucrative insurance contracts for Barbados. 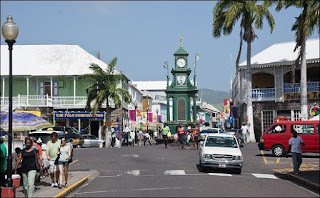 (2) St Kitts & Nevis. When indictments are handed down in the matter, we shall update this developing story accordingly. 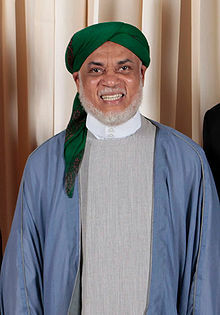 Ahmed Abdullah Mohamed Sambi, the former President of the Comoro Islands, has been charged in his native country with corruption offenses, as well as the embezzlement of public funds, in connection with a passport sales scheme that resulted in the illegal acquisition of Comoros passports by Iranian nationals, and his alleged embezzlement of over $100m in government revenue from those illegal sales. 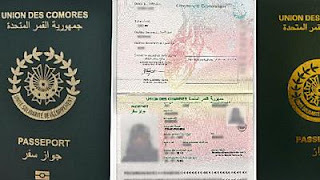 The Comoros passport program was supposed to conform to an arrangement whereby stateless individuals, located in the United Arab Emirates and Kuwait, were to receive Comoros passports, but allegedly through the illegal actions of president Sambi, Iranians who were involved in internationally sanctioned indistries purchased the passports, to facilitate visa-free Asian travel, in support of Iran's covert global sanctions evasion operations. The passports were printed by a Belgian company, the Semlex Group. owned by Albert Karaziwan, a Syrian national now residing in Belgium, whom we have previously identified as having made several illicit payments to African officials, to obtain their country's passport and ID business. Semlex also shows up mysteriously in the Commonwealth of Dominica, where it has a contract to prepare ID cards for voters. 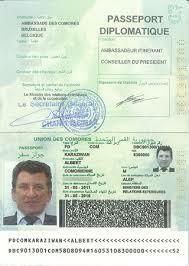 Karawizan was also previously involved in a passport fraud case in Europe. Sambi is reportedly under house arrest at this time; he cannot leave the country. 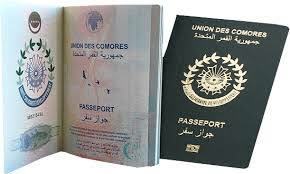 a number of the passports improperly issued under the program to Iranians havew been revoked and cancelled by the Government of the Comoro islands. 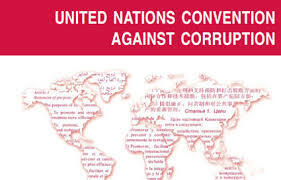 The senior leadership in countries located within the European Union, and in the East Caribbean, that have ongoing Citizenship by Investment (CBI) programs, including Malta, Cyprus, Antigua & Barbuda, St Kitts & Nevis, Dominica, St Lucia and Grenada, would do well to take note of this case, as the corrupt conduct openly displayed by a number of them in selling passports to clearly unsuitable purchasers, and pocketing the proceeds of those illicit sales, could ultimately result in their arrest, when they leave office. 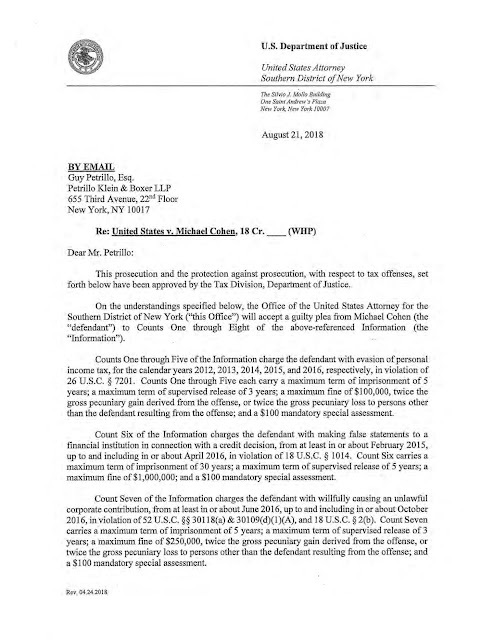 Readers who were confused about exactly how much prison time, fines, court assessment, and restititution, Trump's personal attorney, Michael Cohen, has agreed to, below please find two pages below from the letter which is the basis for his guilty plea. The white paper concludes that offshore financial centers that have strict secrecy laws form corporations used to register vessels engaged in illegal overfishing on the high seas, and destructive land use in the Amazon Rainforest. The information, which was culled by researchers from the Panama Papers and the Paradise Papers, was a major source of previously-unavailable data on beneficial ownership. (1) The Netherlands Antilles (Rainforest damage). 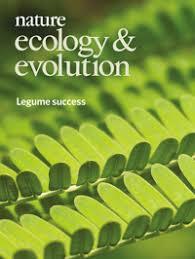 (2) The Cayman Islands ( Rainforest damage). (3) The Bahama Islands (Rainforest damage). 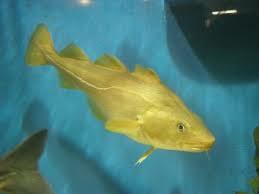 (5) The Republic of Panama (illegal fishing). Compliance officers should always inquire into the specific lines of the client's business, when opening a banking relationship for a corporation from the above jurisdictions, to insure that they do not unwittingly accept illicit profits, earned at the expense of environmental damage, as the possible negative press that could result from the public disclosure of such a client relationship might clause legitimate clients to close their accounts, and bank elsewhere. 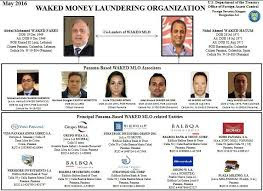 Attorneys for convicted Panamanian money laundering kingpin, Nidal Waked Hatum, have requested, and received, substantial additional time to file their brief on his behalf, in the pending Government appeal of the denial of entry of a $20m forfeiture order against Waked. The trial judge, after sentencing Waked to a term of imprisonment, which he has already served and been returned to his native Panama, declined to enter a fortfeiture for reason that the Government has contended was reversible error. The Government has made a convincing case for reversal. What is troubling about the delay is the fact that counsel for Waked is not a sole practitioner, but a member of a major criminal defense law firm, with a number of other lawyers also available to be attorney of record, any one of whom is competent to write a brief. 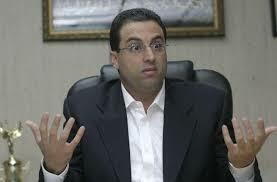 The longer a final decision on the appeal is delayed, the easier it is for Waked, shown to be one of Panana's most experienced money launderers, to move assets, and therefore to insure that the United States will never be able to recover on a forfeiture order, when it is eventually entered. What if law enforcement investigators were then able to track and trace my movements there, in and out of a dodgy attorney's offices, and into an offshore bank, with narcotrafficking clients in tow ? That may sound like science fiction, but due to the unique advantages offered by facial recognition software platforms, it is now within the ability of law enforcement agencies, should they choose to avail themselves of its features. (1) Caribbean tax havens, faced with an unwanted increase in street crime, have vastly increased the number of CCTV cameras in downtown urban areas. These also happen to be the locations of offshore banking facilities, attorneys' offices, and the financial services firms who form shell companies. (2) The Peoples' Republic of China has the largest closed circuit monitoring system in the world, with over 170 million cameras; it is slated to expand to 400 million by 2020, and its system paid CCTV with an advanced facial recognition software platform that was able to locate a BBC reporter in seven minutes, in a test of its capabilities. (3) China, as well as other countries, including the UK, Germany and several manufacturing centers in the European Union, are exporting vast number of surveillance systems to governments in the Middle East, Asia, and Latin America. The result will eventually be a global network of CCTV footage potentially available to law enforcement agencies looking for specific money launderers and financial criminals. Will the US Drug Enforcement Administration (DEA) soon be tracking the movements of a known money launderer, as he traverses the downtown area of a tax haven jurisdiction's capital city, in and out of offices, on a particular day, to prove that he was engaged in bulk cash smuggling ? 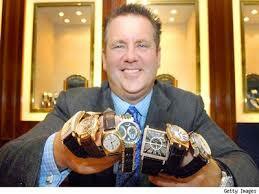 What about the FBI, actually following a Ponzi schemer down the street of an offshore financial center, in real-time ? These are not sheer fantasies, but the artful use of facial recognition software programs to conduct successful money laundering investigations. It could vastly improve the ability of law enforcement to track and trace criminal activities abroad. 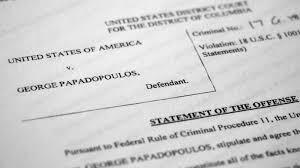 Rather than relying upon the minimal details regarding the lies that Trump foreign policy advisor George Papadopoulos told the Federal Bureau of Investigation, readers should review the complete facts that are only available in the ten page Government's Sentencing Memorandum. You may access it here. The Government of India is relying upon the United Nations Convention against Corruption to compel Antigua & Barbuda to extradite the $2bn fugitive fraudster Mehul Choksi from Antigua, where he has been evading arrest, based upon a CBI passport he reportedly bought for $2.5m. The UN treaty, of which India and Antigua are signatories, applies where the crimes charged are offenses in both countries. Choksi was the alleged mastermind of the billion dollar scam perpetrated against state-owned Punjab National Bank, and if India had a "Most Wanted" list, he would be the number one target. Antigua appears to be already sowing the seeds of delay; it is refusing to move forward with the extradition until the Public Prosecutor is back on duty, and he has curiously been allowed to take an extended holiday. Also, an attorney closely connected to the government, David Dorsett, is presently representing Choksi, and since he has denied that his client was involved in any criminal conduct, you can expect his representation to include diatory action. It is believed he will follow the decade-long pattern employed by lawyers for the fugitive former Antigua banking regulator, Leroy King, who faces a probable life sentence in the United States, in the Stanford International Bank billion dollar Ponzi scheme. The Choksi case is the latest in a long line of scandals involving Citizenship by Investment (CBI) passsports being sold by Antigua to fugitive career criminals, money launderers, international sanctions evaders, and corrupt foreign government officials, who run afowl of the law. 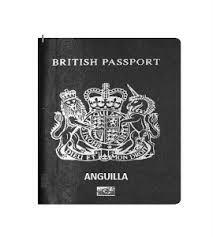 Antiguans fear that their country's passport will eventually become unwelcome in Europe and North America, due to the increasing number of CBI passport holders who commit global offenses, and the continual failure of the country's government to approve only legitimate applicants. 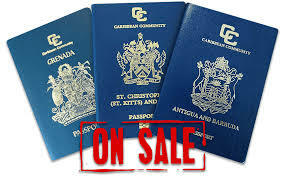 With all the negative press surrounding cases where financial criminals obtain a citizenship by Investment (CBI) passport from one of the East Caribbean states offering these economic citizenship programs, and then are accused of criminal acts, you would think that the remaining Caribbean jurisdictions might choose to avoid CBI altogether. Unfortunately, the lure of what looks like easy money is still attractive to their governments, due to budget shortfalls, dysfunctional economies, and the desire to attract the foreign capital that often accompanies economic passport applicants. 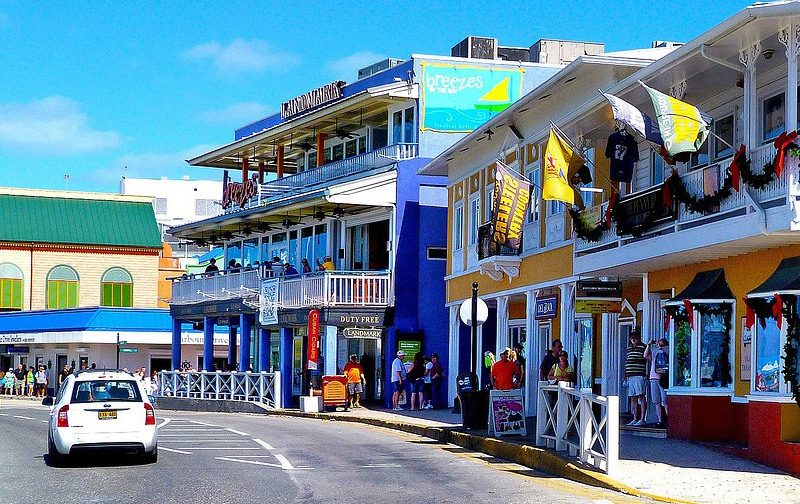 Over in the British Overseas Territory of Anguilla, the local government is ramping up what it refers to as a Residence by Investment, or RBI, program, whereby legal residence will be conferred upon individuals making a large financial investment there. 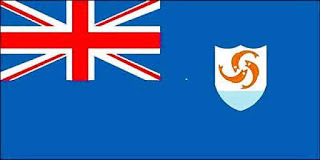 Successful applicants will, after a time, become elibigle for British Overseas Territory Citizen (BOTC) passports, according to the press releases. This is where a serious potential problem emerges. Holders of a BOTC passport, which you can see is similar to a British passport, enjoy visa-free entry into the United Kingdom; they may remain there for up to six months and even longer stays are permitted, assuming they can prove financial security. 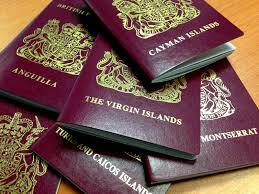 While Caribbean CBI passport holders have visa free access, due to the Commonweath of Nations membership their new nationalities possess, a BOTC passport holder will be regarded as British, and routinely admitted, CBI passport holders are recently subject to scrutiny. Which one would you prefer, if you were a money launderer needing assured access to the UK financial structure, without being questioned or searched ? Now, on to the secondary concern: British Overseas Territory Citizens can apply for British passports; though it is not a routine matter, we imagine a top-flight UK immigration attorney, suitably retained, can succeed for clients sufficiently motivated to obtain one.The holder of a British passport is usually waved through upon arrived in the UK, and that document is priceless in the hands of a financial criminal moving money on a global scale. Therefore, Anguilla's seemingly innocuous Residence by Investment program could spawn a group of BOTC passport holders, with free and easy UK access, some of whom might actually seek to upgrade to a British passport, but even if they don't they have achieved their goal of the ability to enter the United Kingdom, for the purpose of committing financial crimes, terrorist financing, laundering of the proceeds of corruption, and facilitating international sanctions evasion. 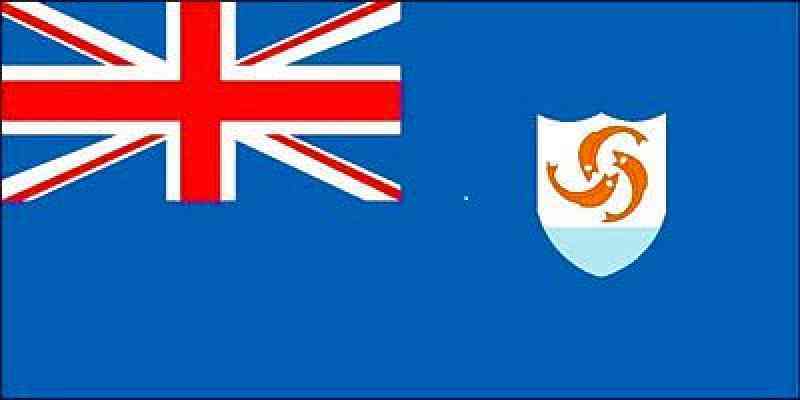 We trust that Anguilla's leaders will read this article, and govern themselves accordingly. No RBI applicants can graduate to BOTC status, nor be issued any passports; give the applicants solely legal residence, without granting any passports to them, to prevent their possible criminal misuse. 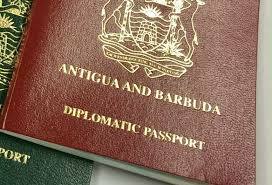 The large number of financial crimes being committed globally by Citizenship by Investment (CBI) passports holders, and foreign nationals who have bought diplomatic passports sold by the five CBI East Caribbean states, have now caused real problems for bona fide Caribbean nationals arriving in the United Kingdom, who have nothing to do with the criminal activities of others. West Indians are reporting that their luggage is receiving special scrutiny from the UK Border Agency, and they are being questioned extensively, under circumstances some are calling interrogations, about their visit, as well as their background, and planned activities in the UK and elsewhere. UK sources are reporting that the reason is the well-founded fear, on the part of UK authorities,that undesireable foreign nationals are accessing visa-free entry into the UK through CBI passports issued by Commonwealth of Nations states. Additionally, UK sources have confirmed that the Border Agency is not accepting ANY Caribbean diplomatic passports at face value, unless and until the "diplomat" is duly qualified as an accredited envoy or emissary to the UK. This means previously accepted by the UK Foreign Office, which rules out all those "pay-for-play" bogus diplomats buying their credentials in the East Caribbean. We have previously detailed specific cases where accused financial criminals have attempted to evade arrest in the UK by brandishing diplomatic passports issued by the five CBI East Caribbean states; in every instance, British law enforcement agencies have refused to accord diplomatic status to the holders. What we are seeing is an appropriate law enforcement response to the many threats posed by the individuals who seek the protection, and privileges, of CBI and diplomatic passports, for illicit purposes, The UK doesn't want them coing for a visit and committing crimes while there. No wonder they are giving the third-degree to arriving Caribbean nationals. So long as the East Caribbean states continue tosell their passports to career criminals, sanctions and tax evaders, and corrupt Politically Exposed Persons (PEPs), you can expect the UK Border Agency to look very closely at every arrival from the region. (1) Your bank has become the subject of a regulatory action, which happened as the direct result of non-compliance wirh specific BSA/AML regulations. (2) Your bank is undergoing a regulatory examination, or recently completed an examination. (3) There is regulatory activity that indicates a heightened focus on a specific group of regulations in the industry. (4) There have been a number of publicly-disclosed regulatory civil fines and penalties, which include mandatory look-backs and remediation. 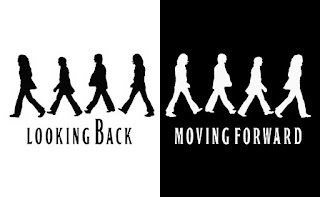 Whether look-backs and remediation ordered by a regulatory authority, or initiated by your bank, in the light of ongoing industry or law enforcement developments, effective look-backs and remediation efforts, which review prior bank actions, for a specific extended period, are vital, as they will clean up your past compliance errors, and missed transactions. 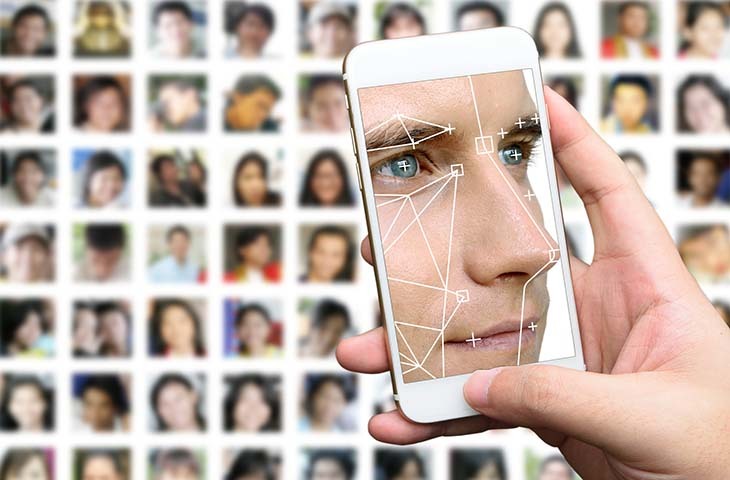 (A) Run facial recognition software on your clients' government-issued photo identification documents on all new accounts opened during the look-back period. (B) Run facial recognition software on all your clients who closed their accounts during the look-back period. (C) Run the facial recognition software on all your clients that your investigation concludes may have had suspicious transactions. The object is to absolutely confirm client identity, and to uncover, through the use of facial recognition software programs, those career criminals, OFAC SDNs, PEPs, and users of bogus passports whom your compliance staff failed to spot at account opening, or closing. The identification of these criminal elements will show regulators that you are assessing the causes of your prior compliance breakdown, have analyzed the situation, and have positively identified your remediation approach, using improved technology, including but not limited to the use of facial recognition platforms, as part of Enhanced Due Diligence. 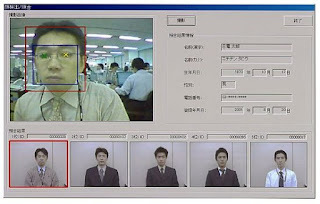 Although most compliance officers are familiar with the customary applications of facial recognition software, at account opening, to check counterparties, and to avoid sanctioned individuals, its use in look-backs illustrates that there are a large number of additional potential uses by compliance, which will result in a larger number of users, and eventually its universal deployment, as a required component of their Enhanced Due Diligence procedures. MARTINELLI IS BACK IN PANAMA, SO WHY IS HIS MIAMI COURT FILE STILL OFF LIMITS ? While corruption prosecutors in the Republic of Panama joust with Ricardo Martinelli's criminal defense team, there's some nasty unfinished business back in Federal Court in Miami, where Martinelli's closed Habeus Corpus extradition case remains strangely unavailable to the press and public. What are they hiding ? The Martinelli District Court case, which he filed to stop the enforcement of a Federal court order requiring his extradition, to face criminal chages in his native Panama, where he had served as perhaps the country's most corrupt president, was, from the beginning, not available to view. It was not done through a sealing order, but through a curious administrative act: someone at the District Court simply denied total access to the public, to the pleadings and documents on file. 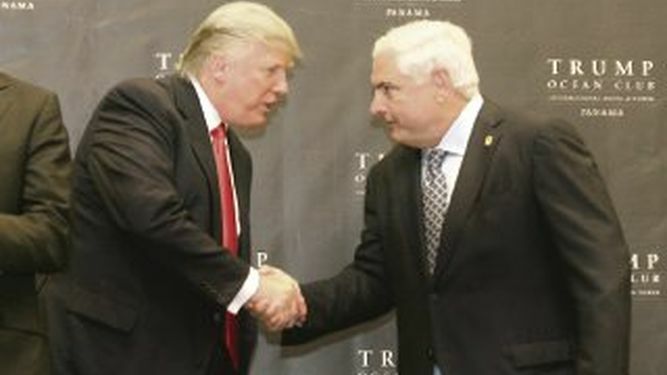 (1) Ex-President Ricardo Martinelli was a confidential informant for a US law enforcement agency, or an intelligence service, and he detailed that relationship in his petition, and in subsequent filings. 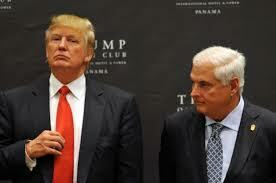 (2) Then private businessman Donald Trump, when visiting Panana City in support of the Trump Ocean Club Hotel and Resort, participated in certain "extra-curricular leisure activities" which Martinelli's national security agency had captured on video, and Martinelli disclosed this fact in the petition. (3) Martinelli also holds recordings of actions taken by US Government agencies in Latin America that would severely damage American diplomatic relations with its regional allies. Is the public being denied access to the court file, long after it is closed, to save embarrassment to President Trump and/or US Government agencies ? We cannot say, but there has never been any mainstream press coverage of the mere fact that the file has never been available. It makes you wonder what is in that file. (1) If you are aware of the public statistics, released by the five East Caribbean CBI states, you know that one-half of the CBI passports issued by Antigua & Barbuda have been to applicants from China, and allmost one hundred per cent of the CBI passports issued by Grenada have gone to individuals from China. (2) Many of the other successful applicants for CBI passports, whether they choose European or Caribbean jurisdictions, are from countries using non-Latin alphabets, such as the Middle East (Arabic and Farsi), and East Asia (Korean, Malaysian and Thai, to name a few). (3) When transliterating applicant's names, from the non-Latin characters, into the English language equivalent, there are universally accepted translation norms to guide us. Therefore, any number of correct variations on an English language name are deemed acceptable, which is a recipe for disaster. CBI applicants, most of whom come from countries of elevated risk, often include financial criminals, assorted other bad actors, fugitives from justice, and international sanctions evaders. Others are PEPs, Politically Exposed Persons, who are artfully concealing their PEP status, whether because they are corrupt bribe or kickback recipients, or tax evaders at home, or are closely associated with one who is such. He may have even come to you with an alias, all properly documented by his government, but accomplished through corrupt payments for a bogus passport. So, you end up with an individual being arbitrarily assigned what you hope and trust is the genuine English equivalnt to his original name, which may mean that his high-risk status is never discovered through normal data inquiries. How do we identify him ? The answer is to employ a facial recognition software platform, which will cull through news photographs, passports, social media images, newspaper and magazine articles, CCTV footage and other sources, and extract from them your target's image, verifying his stated identity, or show him to be a completely different person altogether. Without facial recognition confirmation, the chances that the CBI jurisdiction has issued a passport, under a clean alias, to a career criminal, foreign intelligence agent, or other unsuitable party, is unfortunately good. Due to the elevated level of risk with CBI applications, it has become a necessary, and yes, even mandatory, element of their Enhanced Due Diligence efforts. Let us hope that the agencies operating these programs get the message, as facial recognition software is the only effective solution. 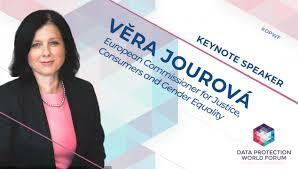 Industry reports confirm that the European Commissioner for Justice, Vera Jourová, has made a public announcement that the upcoming agency report on Citizenship by Investment (CBI) programs has been advanced several months. There are rumors that the new report will attempt to set down specific guidelines, for national security reasons, for CBI programs. Nonprofits and industry advocacy groups are expected to present comprerhensive responses to any negative findings and conclusions, especially in the area of due diligence, which to most objective observers has been an intentional failure, allowing career criminals, terrorist financiers, international sanctions evaders, and other unacceptable risks to acquire CBI passports. Without Enhanced Due Diligence (EDD), unsuitable applicants will continue to acquire CBI passports, and use them to launder the proceeds of crime. We hope that the Commissioner's recommendations result in the passage of regulations that will result in the actual imposition of EDD requirements on all CBI passports, whether they are issued in the European Union, or the Caribbean, and in the event that this is not strictly adhered to, visa-free entry will be terminated, and visa procedures will be strict. Former Fort Lauderdale attorney/fraudster Scott Rothstein, who is currently in the Federal Witness Protection Program (WITSEC), and serving a fifty year sentence for a billion dollar Ponzi scheme, simply refuses to face the fact that he will not be receiving a Rule 35(b) sentence reduction in his case. He has filed an appeal from the District Court's order granting the Government's motion to reduce his sentence, and to also deny him an evidentiary hearing on the matter. You may remember that the Government asked that the pending, generic motion for reduction of Rothstein's sentence be withdrawn, on the grounds that he engaged in misconduct, in connection with his former wife's efforts to hide their jewelry from being used to reimburse victims of the Ponzi. Considering the Government's sole discretion, in considering whether to reduce a sentence, Rothstein's contract argument was weak at best, and now he is appealing what appears to have been a sound judicial decision, based upon the rule of law. Nevertheless, the appeal is proceeding. (1) The Court erred when it rules that the Governmen's sole discretion to file a Rule 35 motion includes the discretion to withdraw it. (2) The Plea Agreement does not give the Government the right to withdraw a previously-filed Rule 35. (3) The Court erred when it refused to give the appellant an evidentiary hearing on the issues. Rothstein's counsel has requested Oral Argument. The Government has filed its brief in the the 11th Circuit appeal it brought after the trial judge declined to enter an Order of Forfeiture against convicted Panamanian money launderer Nidal Ahmed Waked Hatum. It claims that the Court committed reversible error, by refusing to order Sr. Waked to forfeit properrtty, or by failing to enter a forfeiture money judgment, even through he had laundered over $10m. (1) Criminal Forfeiture is mandatory pursuant to US law. The Court apparently considered that the statutory $520m sum would violate the 8th Amendment's Excessive Fines Clause. (2) The fact that Waked no longer possessed the funds involved in the money laundering conspiracy does not preclude forfeiture judgment of an equivalent amount. (3) a forfeiture amount for Waked's money laundering conspiracy cannot be reduced or eliminated merely because Waked had repaid the defrauded bank. 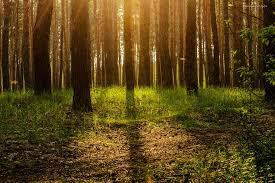 (The banks sustsained no losses). 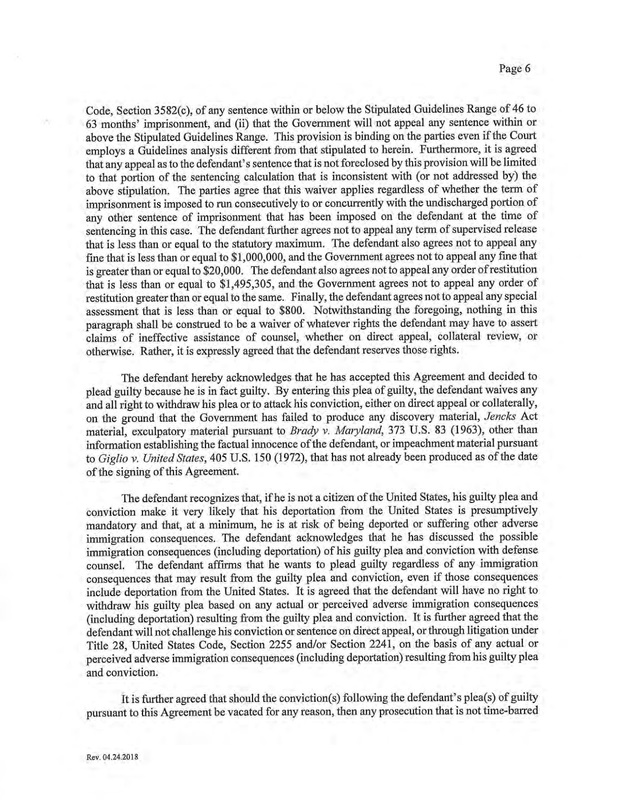 (4) The District Court's subsequent misinterpretation of language in the Plea Agreement to forego entry of a forfeiture order against Waked also is reversible error. The brief detailed how Waked moved funds, through wire transfers, from Panama to Miami, and back to Panama, outward bound from International Commercial Bank of China (ICBC) to Ocean Bank of Miami, and return to ISBC. He gave bogus invoices to the banks in support of the criminal money laundering scheme, in an amount in excess of $10.4m, to draw on lines of credit. At sentencing, the Government requested 51 months' imprisonment, but the Courrt only imposed a sentence of 27 months, noting that the banks had suffered no losses, and that Waked's role was not paramount. 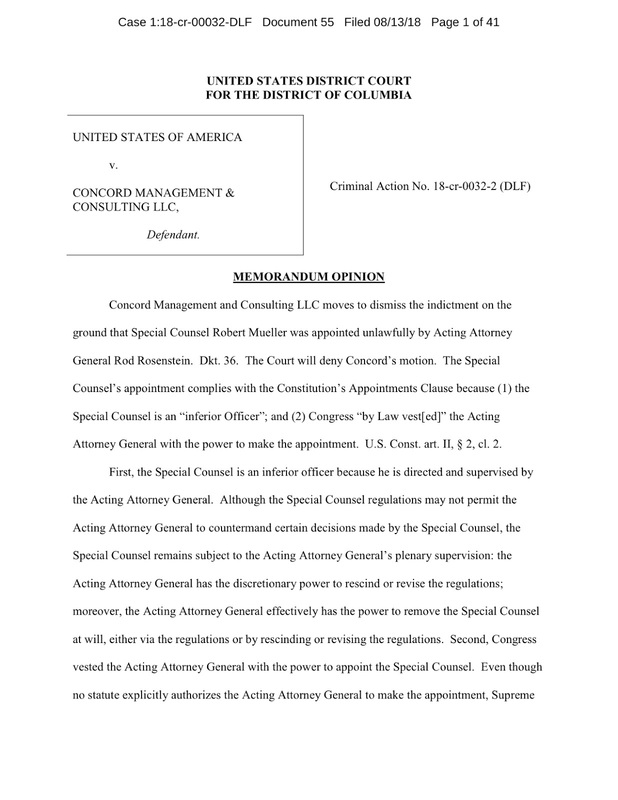 Legal observers have been puzzed about the length of the sentence, the fact that he was not obligated to testify against any other individuals, and the lack of a forfeiture judgment against an individual who is known to have been a major player in the Waked Money Laundering Organization. The Waked MLO operated openly* for more than a decade in Panama, and Central America, reportedly cleaning narco-profits for Colombian and Mexican cartels. Waked has since served his short sentence and returned to Panama, through still personally sanctioned by OFAC. Why was a member of a prominent money laundering organization not sentenced to 20 years ? Justice does not appear to have been served in this case, as the punishment did not fit the crime. * The authorities in the Republic of Panama had overwhelming evidence of money laundering in the Waked companies for at least eight years prior to Waked's arrest in Colombia on US charges,, but corrupt officials in government there protected him and his associates. 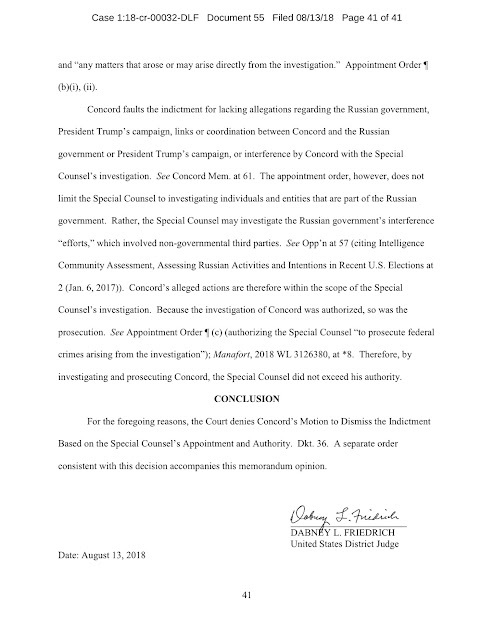 The District Judge in the DC case involving Russian-linked companies involved in the social media campaign to affect the 2016 Presidential Election, Concord Management & Consulting LLC, has refused to dismiss the charges, due to the alleged unauthorized appointment, (and therefore lack of authority) of the Special Counsel. 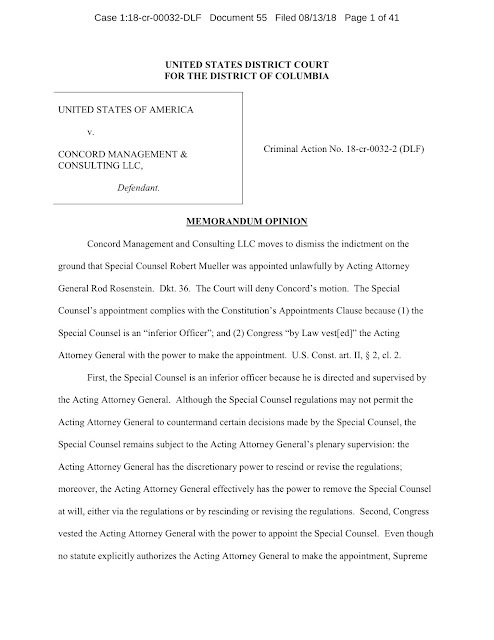 Above are the first and last pages of the 41-page Memorandum Opinion. While corrupt Caribbean officials wonder whether they are next, details surrounding the Federal money laundering charges filed in New York, against Donville Inniss, a prominent former minister and ex-Member of Parliament in Barbados, in a bribery scandal involving a Bermuda-owned insurance company, remain a mystery. Inniss was arrested in Florida, and posted a $50,000 bond in Federal Court in Tampa; the case is pending in the Eastern District of New York. The court file remains sealed to the public, which is a good indication that there are addditional named defendants outside the jurisdiction of the Court, meaning overseas, and the US Attorney in that district does not wish to alert them before they are in custody. 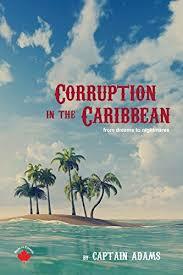 The fact that there will be additional parties defendant in the Inniss case will only serve in increase the fear of arrest for corruption among East Caribbean government officials with something to hide, meaning the acceptance of bribes or kickbacks, especially if they were careless about moving those criminal proceeds through the US financial system, which confers jurisdiction in the United States.